The review of Paisleys and Poises stamp and suite continues. The focal point of this card design is embossed frame. 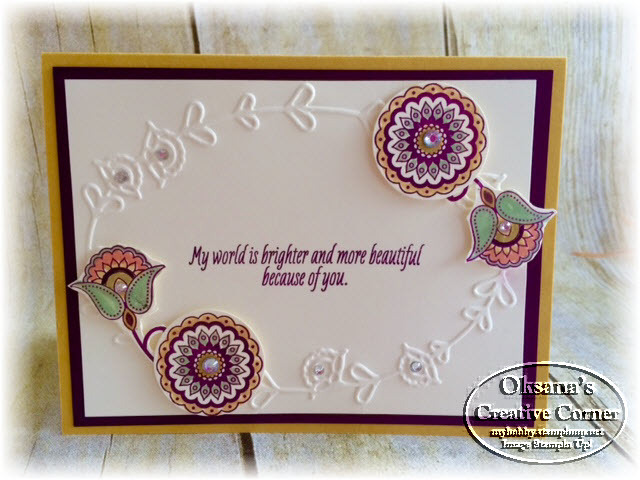 I love the size of it - almost all card front with enough space to stamp sentiment in the center. It was fun coloring. The yellow coloring is actually gold wink of Stella. looks very pretty in person.